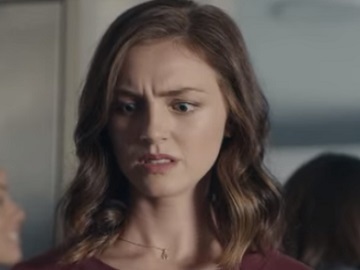 Taco Bell advertises its Taco Party Packs in a new commercial, highlighting that they are here to cure your Déjà Food and help your group break free from party food monotony. Titled “Déjà Food,” the 30-second spot features several people at different parties having a Déjà Food, which is “the eerie feeling when you’re having the same food at every group event, because you are”. Party guests trying to run away from pizza and vegetables trays, including baby carrots, broccoli, and other stuff, that is on the table at every party. “But now there is a cure,” the voiceover informs, referring to Taco Bell’s Party Packs. When a guy arrives at one of the parties, saying he got tacos, everyone rushes toward him to grab one. “Whatever your occasion, mix things up with twelve delicious tacos in one box,” the voiceover urges viewers at the end of the commercial, adding the tagline “Taco Bell Party Packs – Party food will never be the same again”. The menu item, which can also be ordered ahead on the fast-food chain’s mobile app, is available at participating Taco Bell locations. Prices and items may vary, the ad also specifies.